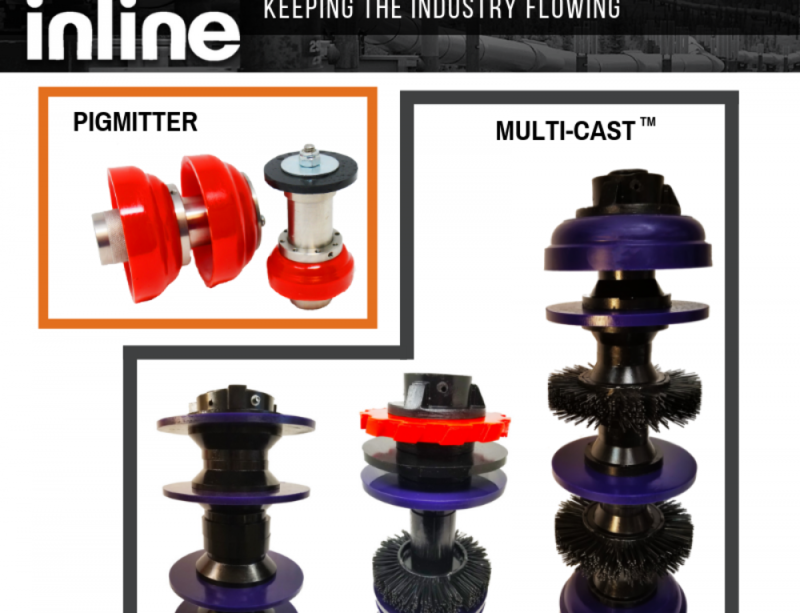 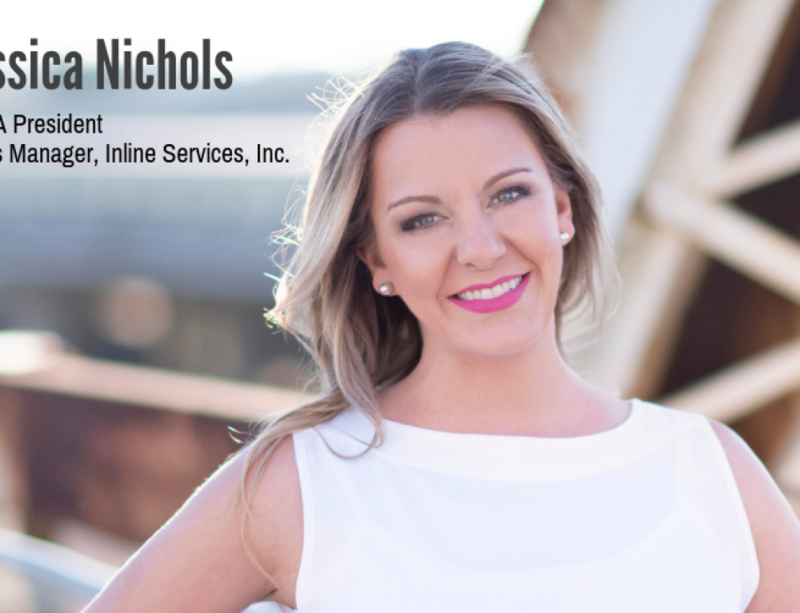 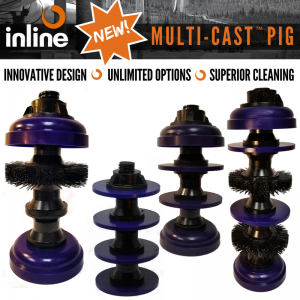 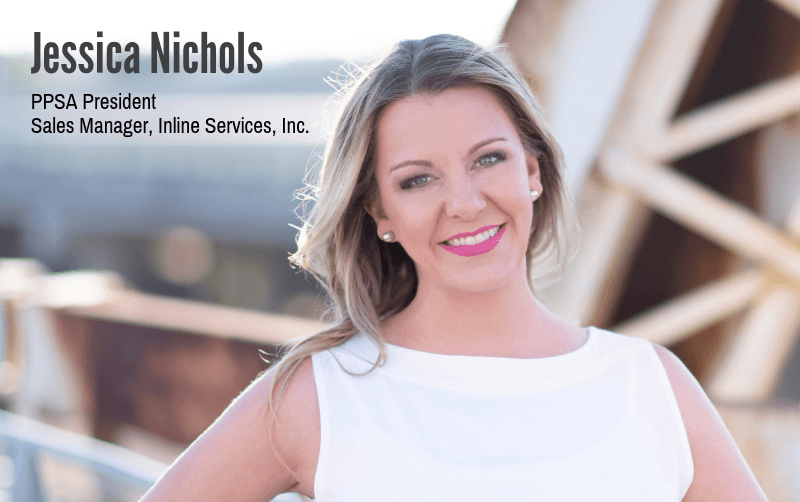 Inline Services announces the introduction of the new MULTI-CAST ™Pig. 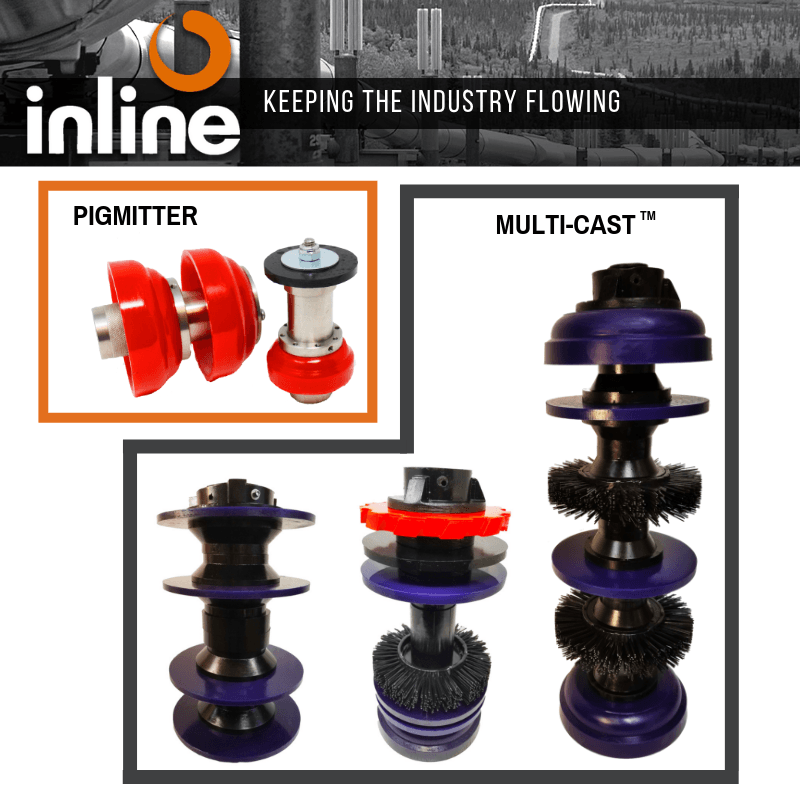 This innovative new pig design offers a urethane shaft providing both durability and flexibility for passing through pipeline elbows, as well as the advantage of configuring the pig with any combination of accessories such as cups, disc’s, magnets and brushes. 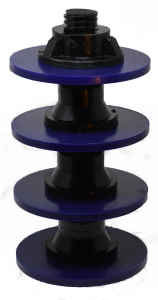 The urethane shaft is threaded and uses a large nut to hold the accessories in place. 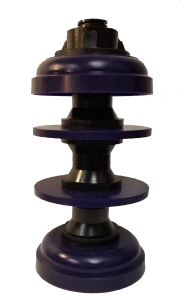 After a run, accessories can be replaced in any combination. 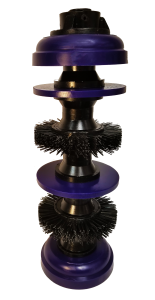 This designs unique ability to include brushes makes it effective for removing mill scale, black powder and other hard to remove scale. 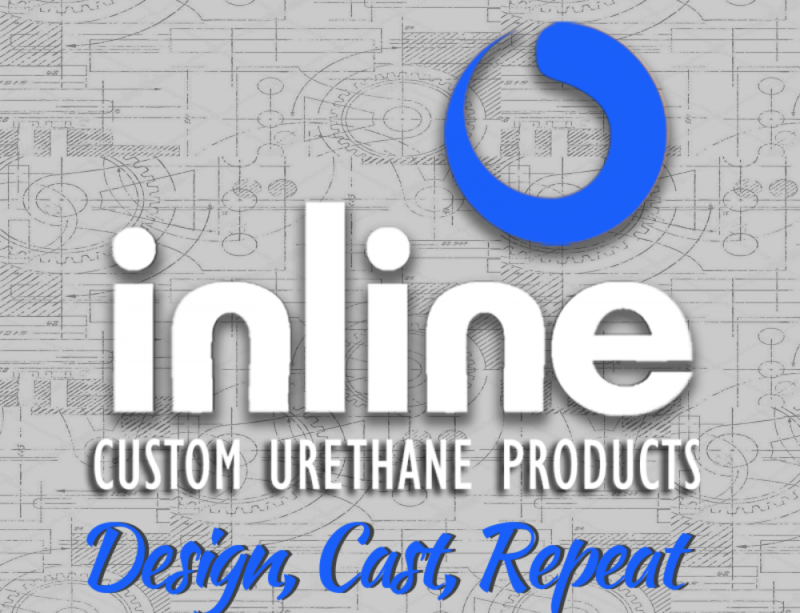 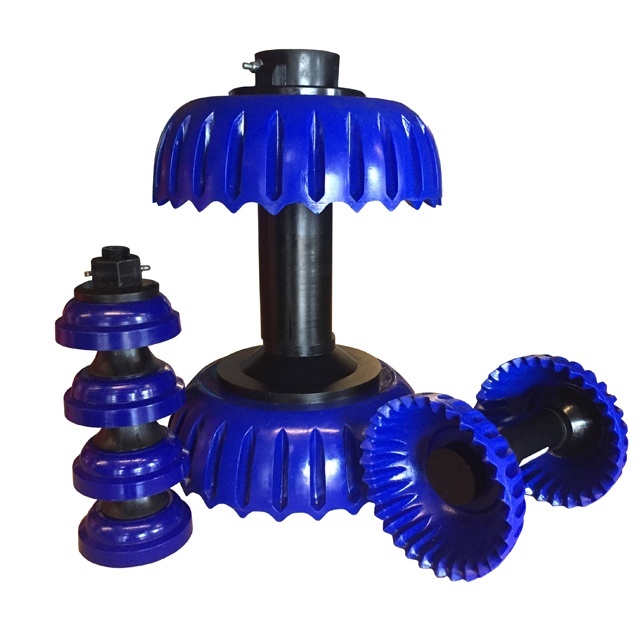 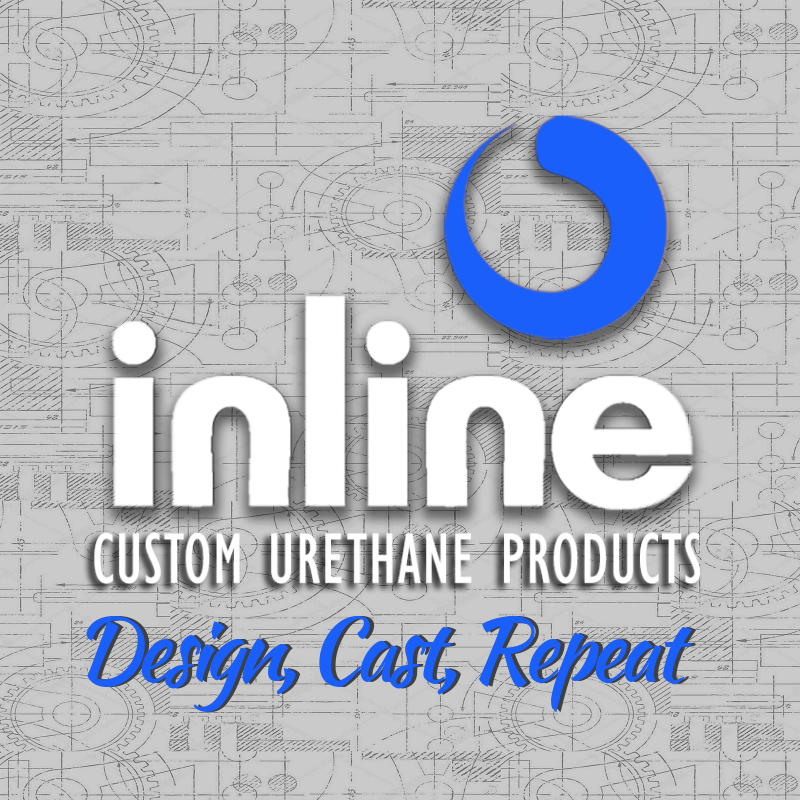 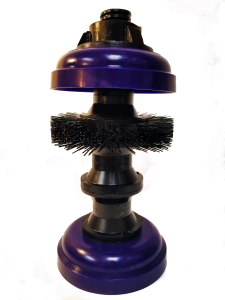 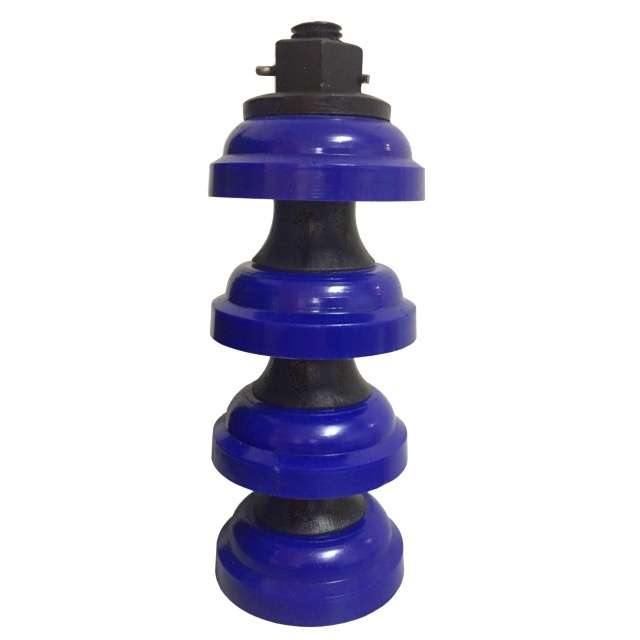 The reusable urethane shaft flexes and cleans better while offering customization options and efficiency not available from traditional steel mandrel or solid cast urethane pigs.